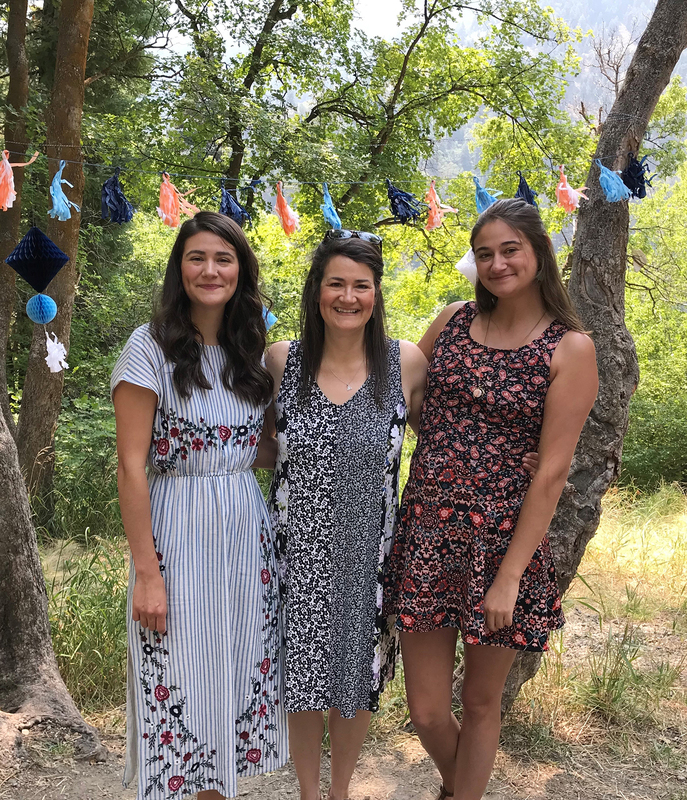 Donna, a health educator at HCI, and her daughters can rest easy now knowing their home is safe from radon. January is National Radon Action Month. We spoke with a radon expert and a health educator who installed a radon mitigation system at her house to inspire you to take action and test your house for radon. Eleanor Divver is the Radon Project Coordinator for Utah’s Department of Environmental Quality (DEQ). She has over 18 years of experience working in the radon field. What do people in Utah need to know about radon? Radon is an odorless, colorless, tasteless, radioactive gas that occurs naturally in soil and rocks. When it gets in enclosed spaces such as a house, it can cause lung cancer. One in three homes in Utah have radon levels high enough to cause cancer. Every year an estimated 21,000 lung cancer deaths in the United States are attributed to radon gas. The only way to know if you have elevated radon levels is to test your home. Testing is easy and inexpensive. Utah residents can purchase test kits for $9 at radon.utah.gov. Place the test kit in the lowest living level of the home, preferably a bedroom. Leave the test kit there for at least two days, then seal it up and take it directly to the post office. The laboratory will analyze the radon levels and send you the results. What do you do if you have elevated levels of radon? If you have elevated levels of radon, you need to have a radon mitigation system installed. It is very important that you hire a certified mitigator, because they will know what kind of mitigation system is best for your home. To find a list of certified mitigators in Utah, visit radon.utah.gov. We recommend getting three bids before starting your mitigation system. You can find a step-by-step breakdown of getting rid of the radon in your home on the DEQ website. What does the State of Utah do to protect the citizens of Utah from Radon? The Utah DEQ works diligently to try to educate the citizens of Utah about radon and its effects. We work with school-aged children, realtors, the healthcare industry (including Huntsman Cancer Institute), businesses, American Indian reservations, and much more to get the word out about radon. Donna Branson is the Director of Patient & Public Education at Huntsman Cancer Institute. Several years ago, she discovered she had high levels of radon in her home and went through the mitigation process. What was the radon mitigation process? Did you know that radon is the second leading cause of lung cancer, after smoking? In Utah, 30% of homes have high radon levels. I had been educating people about the importance of radon testing for years before I finally decided to test my home. The test came with instructions and was easy to perform. A few days after I sent the radon test back to the lab, I received a report with my results. The radon level in my house was 11.3 pCi/L. This was concerning to me, since the Environmental Protection Agency recommends that you take action for a radon level above 4.0 pCi/L. With a result nearly three times more than this level, I knew I had to hire a certified radon mitigator to help protect my family. To find a certified radon mitigator, I went to the Utah Department of Environmental Quality website. There were several choices listed, so I called three companies and asked them to come out and give me an estimate. The estimates varied quite a bit and I ended up selecting the company that was in the middle because of the reviews they received from previous clients. There are many different ways that radon can be removed from a home. For my house, they first placed a high-density polyethylene sheet in the crawl space and sealed the edges to the foundation walls. Then they drilled a hole 25 feet below the house and installed a plastic pipe that was routed outside of the house, and connected to a fan. The fan runs continuously, and draws the radon out from beneath the house and vents it outside so it never gets a chance to enter the house. The company did a great job installing the mitigation system and it only took one day to do it. After installing the system, we retested the house and found that the radon level was 0.6 pCi/L. Now, I can breathe easier knowing that I don’t have radon in my home.